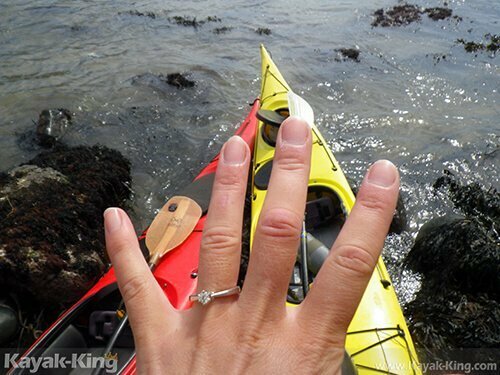 Skomer island - A Puffin wedding proposal in Pembrokeshire Wales. 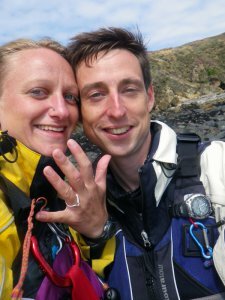 From the moment we met, we have been on a constant search for the next fun challenge… These adventures have seen us travel far and wide in search of the next river to paddle, surf to surf, rock to climb or just being plain silly on a beach somewhere… Pembrokeshire is our home and playground, Skomer island is just one of our many favourite places to go kayaking while on a day off from (kayaking) work. Located less than a mile from the beautiful Pembrokeshire coast, Skomer is truly an amazing place to visit. Skomer is known for many things including its Puffins, yet there is so much more to the bird paradise including Manx Shearwaters, Dolphins, Harbour Porpoises, Atlantic Grey Seal, Razorbills, Gannets, Fulmars and the unique Skomer Vole. The island is surrounded by some of the richest waters for wildlife of the British Isles from delightfully coloured sea slugs to magnificent cetaceans. Enjoyed our story? You are welcome to share in the next one by booking onto a tour with Kayak-King here or Board Games Surfing here.